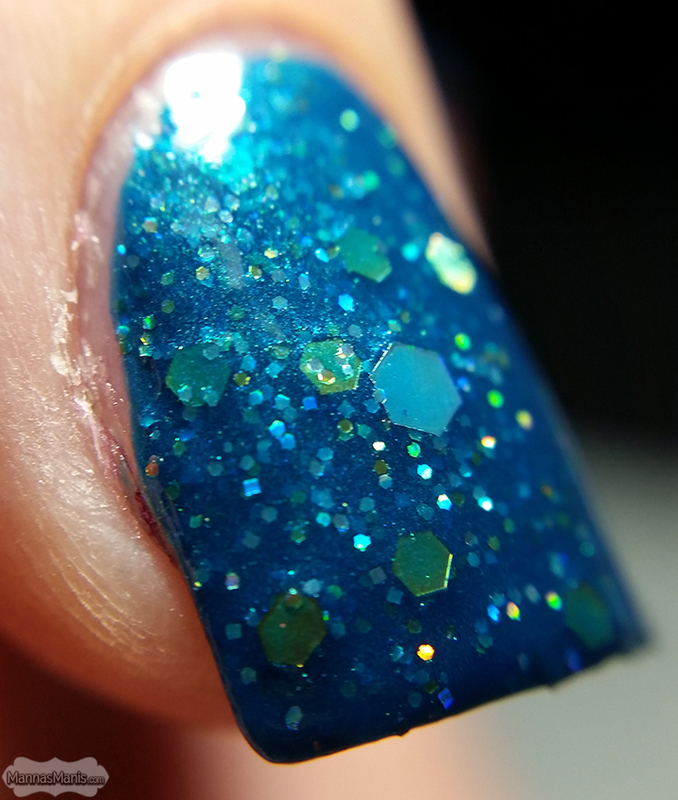 Andrea is a gorgeous bluish teal crelly that is scattered with insane amounts of gold holographic glitters. 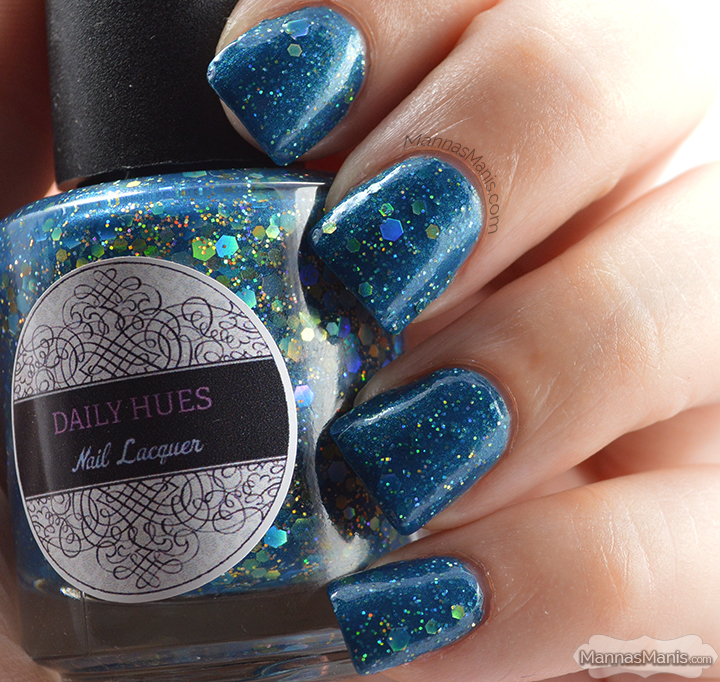 This polish could be a one coater! I was very impressed with the formula and application was flawless. I did 2 coats for the pics. Tip: I let my bottle stay upside down for a couple of hours to get all the glitter goodness near the top. 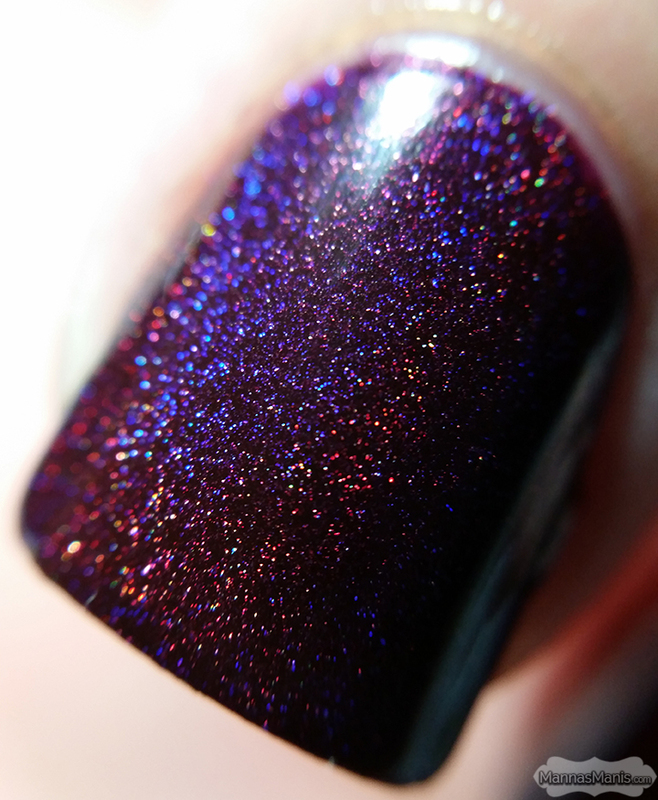 Cheyenne is a deep purple holographic polish. 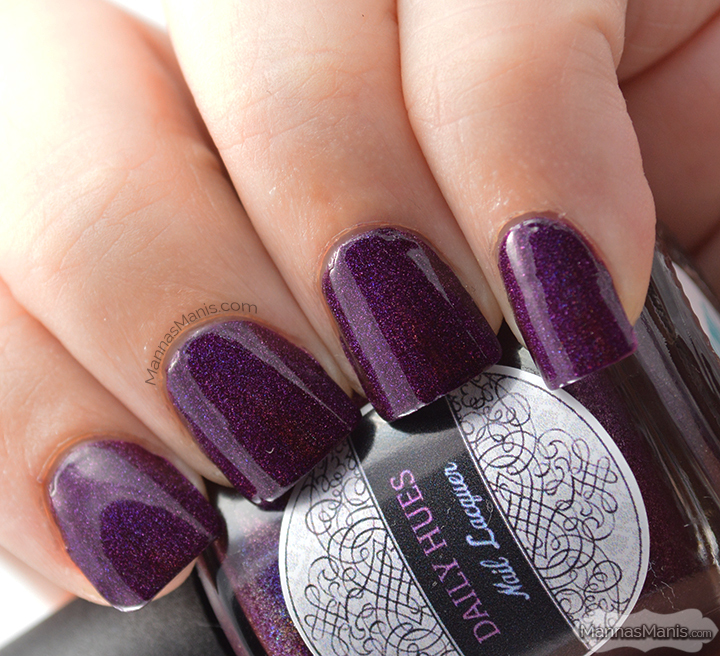 Again, you could pull this off in one coat, how often does that happen with polishes?! Great formula and application. I applied 2 coats for the pictures. 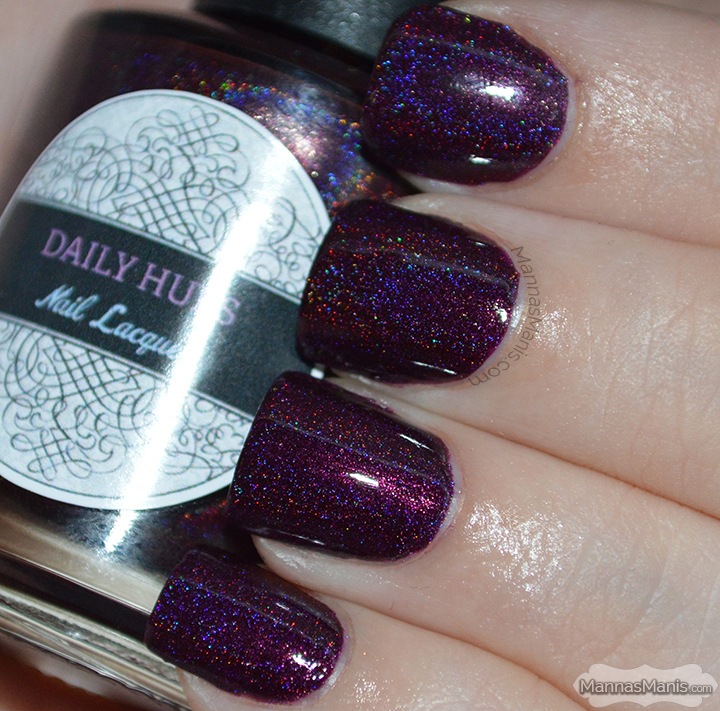 I can't say enough good things about Daily Hues Nail Lacquer. 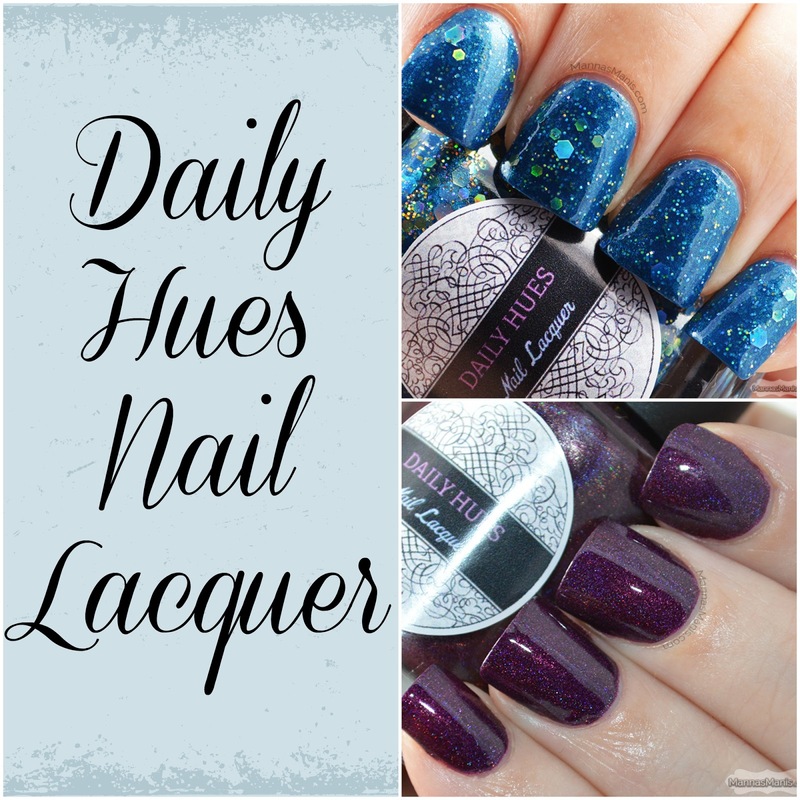 Check out her store to pick up these lovely polishes, and check out the rest of her amazing collections!